Yuvan Shankar Raja is busy these days scoring the music for Mankatha, the Ajith starrer. 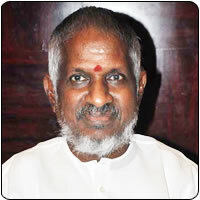 The music director, son of ace musician Ilayaraja, is now said to have roped in his dad for a song. And Yuvan will join his father by rendering his voice too. This will be the first time Ilayaraja will be singing with Yuvan in the same song. Ilayaraja has earlier sung in Yuvan’s compostions. Yuvan’s cousin Venkat Prabhu is directing Mankatha and during their earlier venture together in Goa, the five cousins - Karthik Raja, Venkat Prabhu, Bhavatharini, Premji Amaran and Yuvan Shankar Raja came together for the song Yezhezhu Thalaimuraikkum. Trisha – a failure in Bollywood?